AJA Media conversie, mini converters, recorders, I/O, capture kaarten, HDR analyzer, Streaming encoders, Frame synchronizers, Routers, Camera voor Broadcast video, Pro AV en postproductie. 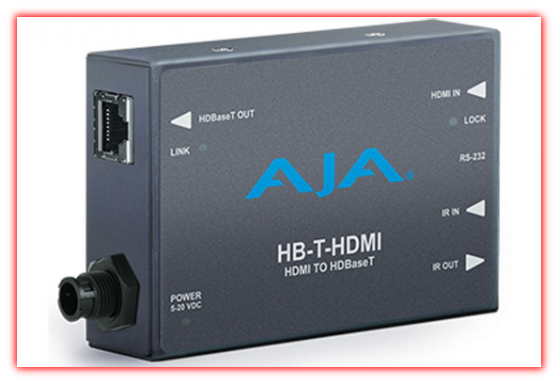 AJA’s 4K2HD downconverts professional SDI 4K/UHD signals to HD resolution using AJA’s high-quality scaling for cost-effective monitoring and conversion. 4K2HD’s HD-SDI and HDMI outputs are both live all the time, producing fantastic-looking HD images for on set monitoring or direct-to-air broadcast. 4K2HD outputs SDI and HDMI simultaneously. 4K2HD supports high frame rate (HFR) 4K inputs at 50 and 60fps and gets converted to HD outputs at 50 and 60fps for accurate viewing. 4K2HD’s configuration options can extract an HD resolution image from the 4K input to provide a one-to-one pixel image for 4K focus checks on HD displays. Configuration can be set remotely via AJA MiniConfig software control over USB. V2Digital is a high-quality, cost-effective analog to digital video converter that’s perfect for facilities needing to integrate signal types. 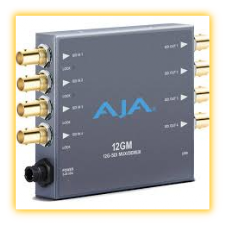 V2Digital provides AJA’s high-quality 10-bit conversion of component or composite analog video to SDI at either SD or HD resolutions utilizing a full 10-bit data path and 2x oversampling to ensure a quality conversion all at an extraordinary price. V2Digital accepts YPbPr (SMPTE, EBU-N10), Betacam, or RGB component inputs or NTSC/PAL or Y/C (S-Video) composite inputs with a 4-line Adaptive Comb Filter providing high-quality decoding of composite sources. The comb filter can be switched to 2-line or notch modes for minimum delay requirements. Configuration can be set by on unit DIP switches or remotely via AJA MiniConfig software control over USB.